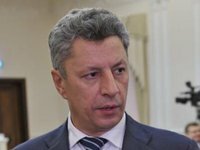 Ukraine will continue reducing purchases of Russian natural gas in 2014, Ukrainian Deputy Prime Minister Yuriy Boiko has said. "There is no hint that we will increase gas purchases. Moreover, next year we will reduce the purchase of gas by 10% for one reason - we started producing more domestic gas," he said on the Shuster Live program on the Inter television channel late on Friday.